Three days until booking begins! Only three days! It seemed so long away when we worked out our calendar in the summer, but the time has flown by as it always does, and now we’re getting to excited to find out who will be joining us in Cardiff next year! In three days, on Saturday afternoon, all our newsletter subscribers will receive an email with a link to the booking form. Unfortunately as we have to limit the places on the retreat due to class sizes and the size of the location it will be on and first come, first served basis. So, once we have received the applications, we will send out paypal invoices to our applicants in the same order as we receive the completed forms back. Applicants then have 72 hours to pay the deposit and officially reserve their place. If 72 hours pass and the deposit is not paid, and if we have a waiting list, we reserve the right to offer the place to the next person in line. We’d really recommend that you read our terms and conditions before filling in the form, as you will be asked to tick a box on the form to signify that you agree to abide by them. Also, have a look at the class list on our Tutors page so that you can plan your order of preference in advance too! We are so excited to reveal our final tutor to you. It’s a fantastic line up of four truly talented wooly artisans and we just can’t wait to get them all together at our retreat! Our fourth tutor is Renée Callahan! As we did with our other tutors, we asked her a few questions which she was kind enough to answer so that we could get to know her a bit better! What’s your name and where do you come from / are you now? My name is Renée and I am from Seattle. I came to the UK many years ago as an exchange student, met a boy and decided to stay! 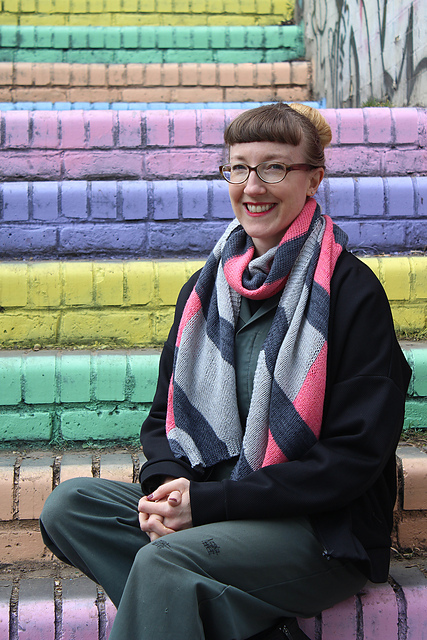 – Could you give us a brief outline of how you started knitting, and your yarny career to date? After studying fashion design with knitwear at Central Saint Martins college, I began to hoard yarn and a range of knitting machines. I love textiles and technical challenge of knitting. There is real joy in producing something both useful and beautiful! After several years of making samples for designers and helping students with final collections, I decided to give up my studio to pursue hand knitting full time. I love to see new knitters taking to the needles and teach a range of hand knitting classes. – Which design are you most proud of and why? That would probably be Angelus Novus: a cardigan design that is part of the Klee Collection. I was pleased with the design that sort of came to my brain fully knit up and I admit it made me feel pretty clever. Even better is that other people seem to like it as well! I love to see other people’s versions. – What is your favourite drink to accompany your knitting? – What will you be teaching at The Knit Tea Retreat? Renée is going to fit right in at our retreat, being a self confessed “greedy tea drinker”! So, are Brioche and Double Knitting techniques that are on your must-learn list? Renée Callahan teaching Brioche and Double Knitting. We really look forward to having you join us on what is shaping up to be a pretty awesome weekend! It’s getting very close to that time when we will be opening bookings! The form to request to book will be available via the “Bookings” page on Sunday 8th October after lunch (UK time!). Beware leaving booking too long; we only have a limited number of places and once they are gone, that’s it! This weekend: We will be releasing a podcast filling you in on all the nitty gritty details. It will all be available in written form here on our website as well to make it easier for you to check information. Sunday 8th October 🎉 BOOKINGS OPEN!! 🎉 We will open the bookings page in the early afternoon and there will be a link to click to take you to the booking form. Once you have submitted it, we will be in touch shortly thereafter to confirm whether you have a place. If all the places sell, you will have the opportunity to go on a waiting list in case someone drops out. I’m Emma, and I’m from the Brecon Beacons in Wales.. I spent 10 years in London but I’m back in my mountains now! 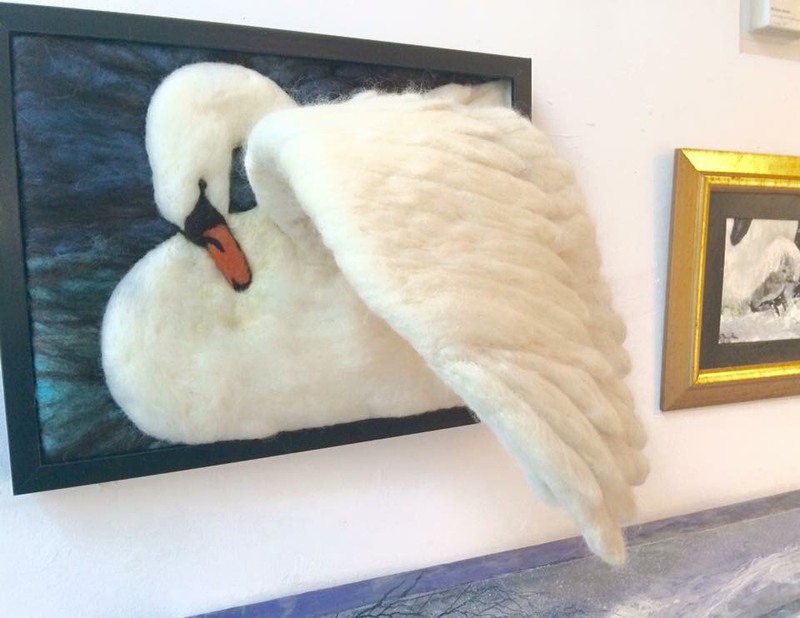 Could you give us a brief outline of how you started felting, and your yarny career to date? Which design / FO are you most proud of and why? What is your favourite drink to accompany your knitting? What will you be teaching at The Knit Tea Retreat? 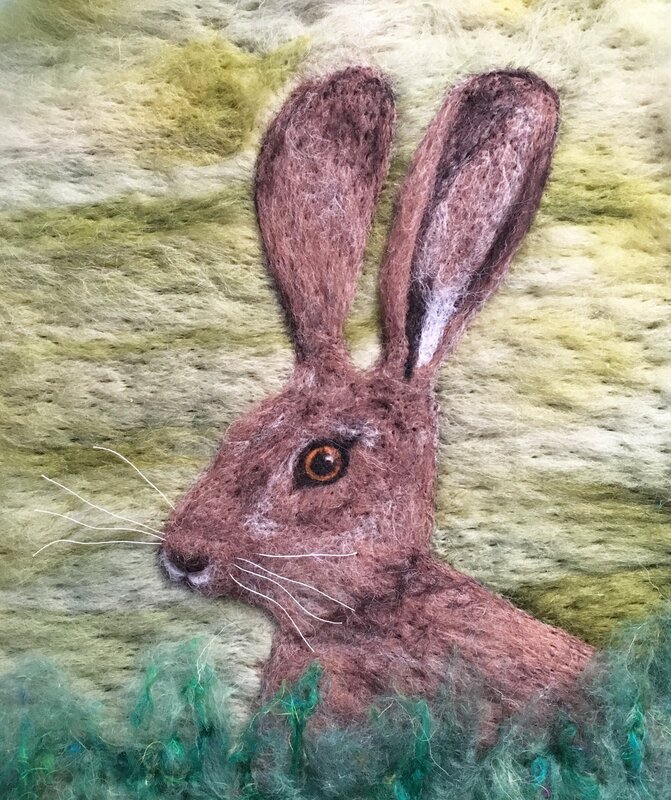 ​We will be making a little 2D needle felted picture – perhaps your favourite pet portrait, or a garden bird, or a cute hare, maybe a landscape that you love. 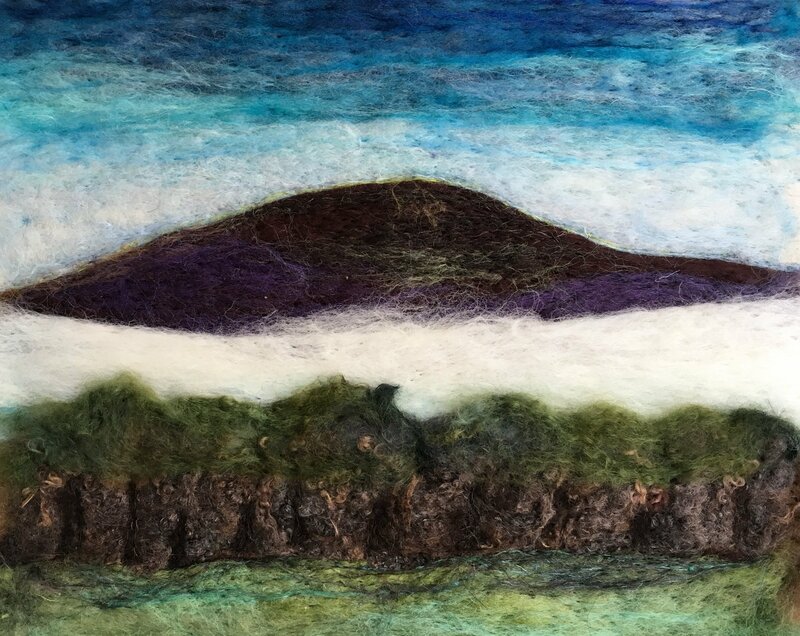 Jennie and I hope you are as excited as we are to have such a talented local fibre artist teaching at the retreat. You can find Emma on Instagram as @emmaffolkyffelt and her website at http://www.ffolkyffelt.com! Next week we will be revealing the final tutor, and then we can get bookings started! – What’s your name and where do you come from / are you now? – Jen Best. I’m based in Hampshire, at The Fairground Craft and Design Centre at Weyhill. – Could you give us a brief outline of how you started crafting and learning about buttons, and your yarny career to date? 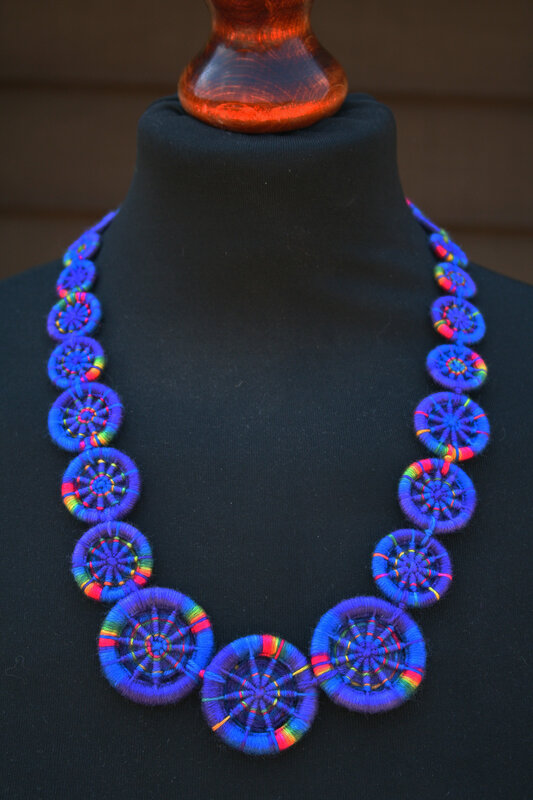 – I’ve been button making, knitting, sewing, crocheting from a very young age, having learnt at my Gran’s knee. My mum taught me to spin about 10 years ago and I learnt to felt about 5 years ago. 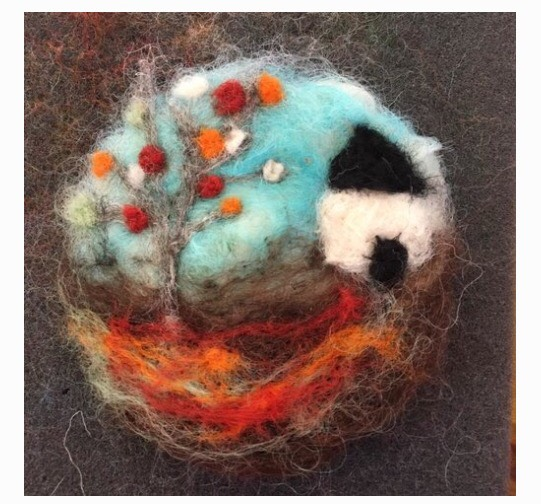 I run a small studio where I get to indulge my passion for Dorset buttons and all things fibre, including writing books and designing new buttons and techniques, dyeing yarn for kits and to design with and creating fibre things to show off my Dorset buttons. Not that I’m obsessed with them or anything! – Which design / FO are you most proud of and why? 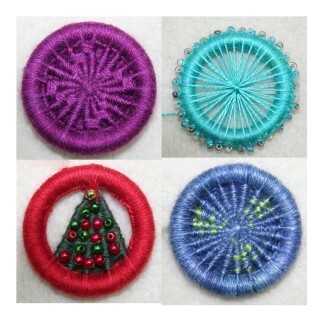 – I’m in love with the tree brooches, which I’ve recently turned into hoop art. (See the centre picture in the collage above) I’ve nearly finished a hula hoop sized tree which I get to be very creative with. Thank you so much to Jen, for answering our questions! 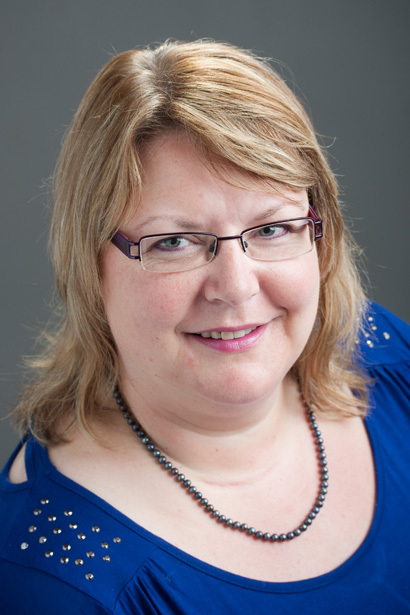 We were so glad to meet her at Wonderwool Wales earlier this year, and instantly thought that she would make a wonderful tutor for our retreat! 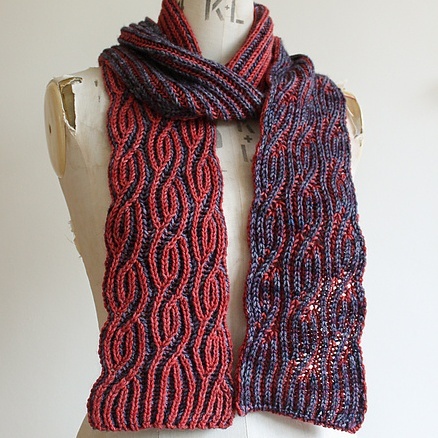 Anniken Allis will be teaching at The Knit Tea Retreat! 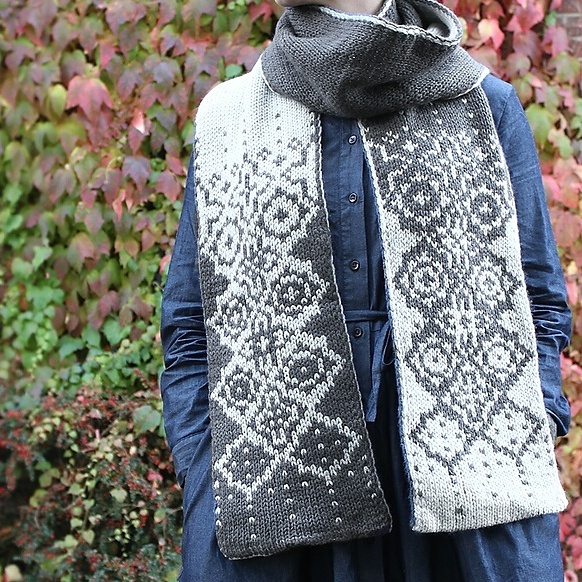 We are absolutely thrilled to announce that Anniken will be joining us to teach workshops on Shetland Lace, Fair Isle, and Steeking at our retreat! Anniken Allis – I grew up in Norway and moved to the UK when I was 20 years old to work as a horseriding instructor for a year. I met a local guy and stayed. Could you give us a brief outline of how you started knitting, and your yarny career to date? I learnt to knit at a young age growing up in Norway. My Mum was a keen knitter and my grandmothers both did other handicrafts so crafts were always a big part of our life. Knitting was very popular as I was growing up and it was always something I did. When I moved to the UK I gradually gave up knitting for a few years but then got back into it about 12 years ago. 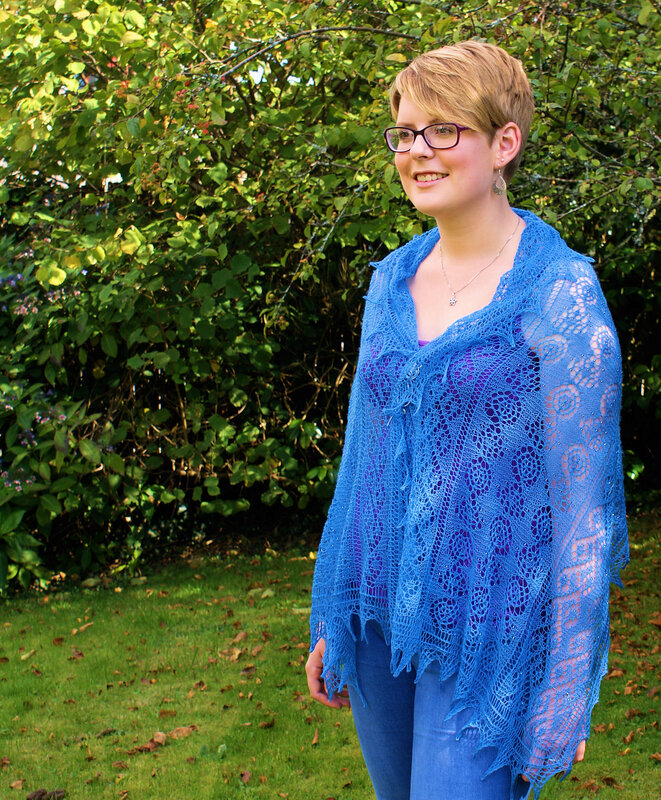 I quickly started dabbling in design and my first pattern was published in magazine in 2007. Around the same time I started teaching knitting workshops at a local yarn shop. 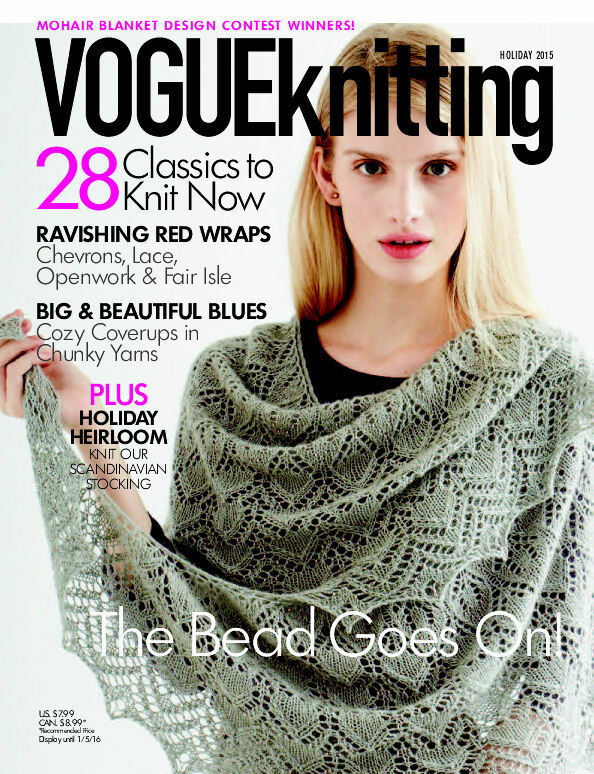 Since then I’ve been published in most of the British knitting and crochet magazines as well as the Debbie Bliss Magazine, Vogue Knitting, Interweave Knits, Interweave Crochet as well as several other US magazines. I’ve written one book – Beaded Lace Knitting – and my second book is due to be released in spring 2018. I’ve also designed for several yarn companies. I also teach knitting workshops around the UK. My favourite knitting techniques are lace knitting and fair isle knitting. As a teenager and young adult, I knitted several traditional fair isle ski sweaters. About 10-11 years ago, I tried my hand at lace knitting and fell in love and lace knitting is the focus of my design work now but I do sprinkle in the odd fair isle pattern for a bit of variety. Which design are you most proud of and why? That’s a hard question. Probably Midnight Stole because when I designed it I was still fairly new to designing lace patterns and it was my most complicated pattern to date. It was a challenge to design it and even more special because I knitted the first sample in my own hand-dyed cobweb lace yarn. Unfortunately the original shawl got damaged. 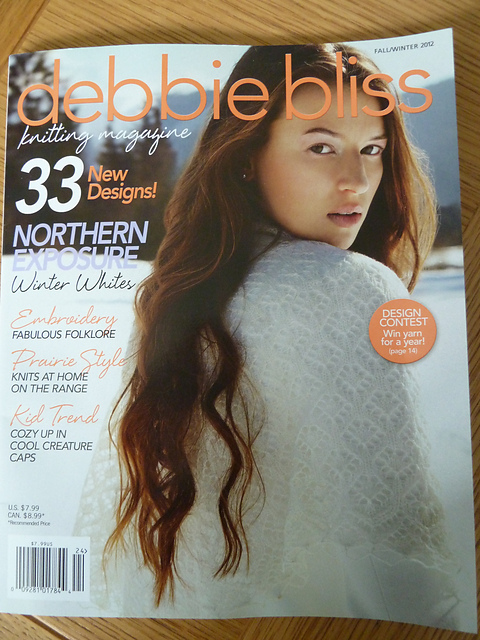 I’m also very proud of two shawls I designed for the cover of the Debbie Bliss Magazine and Vogue Knitting. Diet Coke/Pepsi or Diet Dr Pepper. In the winter I love the odd hot chocolate. Shetland Lace Knitting (1/2 day): Shetland is known for delicate lace shawls knitted in very fine yarn. In this workshop, we’ll look briefly at the history of Shetland lace shawls and you’ll practice working Shetland lace stitches, reading lace charts, and construction methods of traditional Shetland lace shawls. This class is suitable for confident knitters. Experience in lace knitting is not essential as there will be a choice of lace patterns to suit various experience levels. All materials will be supplied. FairIsle (1/2 day): Stranded colour work includes both traditional fair isle and traditional Scandinavian colour work. You will learn how to work with two colours at a time, how to hold two colours, how to strand the yarn, how to knit in the round using the magic loop technique and how to read a fair isle/stranded colour work chart. Steeking (1/2 day): So that a garment can be knitted in the round, the traditional method of steeking is commonly used in Norwegian and fair isle patterns to cut the holes needed for armholes or down the front of cardigans. This workshop will include how to reinforce a steek before cutting, the ‘steek sandwich’, how to cut and how to pick up for edgings. We’ll also cover topics such as why steeks are used, how they are used in various designs, and the benefits of being able to knit items in the round without worrying about armholes or knitting fronts of cardigans separately. This workshop will require you to knit a fair isle swatch in the round (pattern will be provided) in advance of the workshop. Suitable for intermediate knitters. We hope you are all as excited as we are to meet Anniken, and to learn some techniques from such a talented designer! We will be adding Diet Coke to our refreshments list! 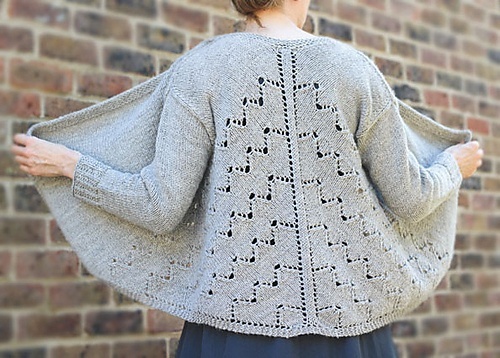 Anniken has a fantastic website, www.yarnaddict.co.uk where you can buy lovely yarns, kits and shawl pins, and sign up to her newsletter too. Here is a link to her designer page on Ravelry, and you can find her on Instagram as yarnaddictanni. And our venue will be…. 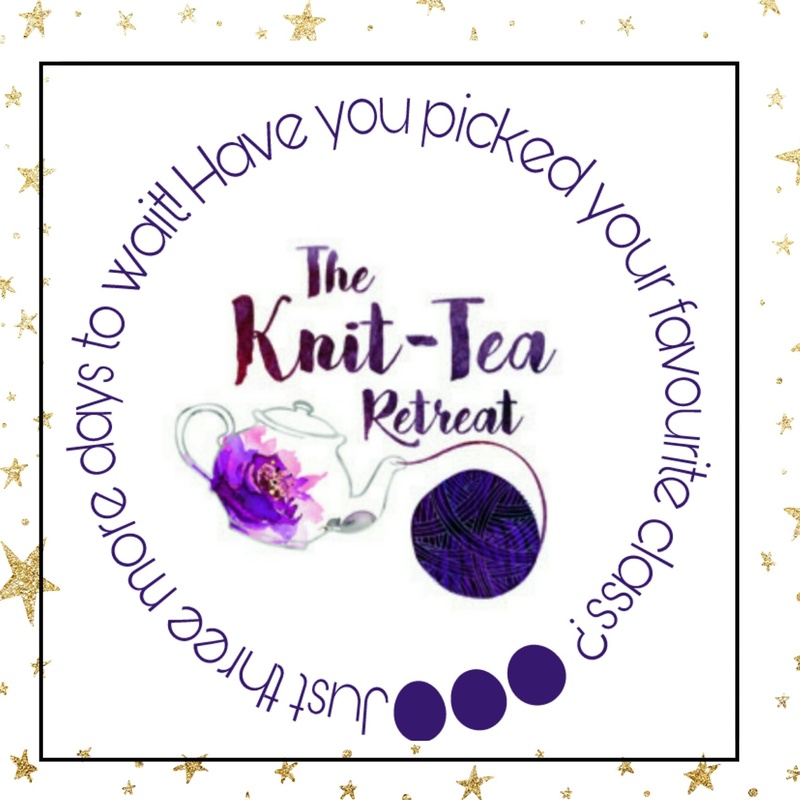 I’m excited to tell you that the Knit-Tea Retreat will be held on the 20th and 21st October 2018! We’re hoping for a Friday Night Knit-In in a nearby pub for those of you who travel up the day before, but the main event will be on Saturday 20th and Sunday 21st. So mark it on your calendars, tell your families that you’re going to be away that weekend, book time off work if you need to and join us!